Book Loving Hippo | Books, Books, oh and Books! Books, Books, oh and Books! When I was growing up my favourite book was Clifford the Big Red Dog- the one about the Big Red Dog who always had amazing adventures. I also really loved Winnie the Pooh, so I thought that this book by Gwyneth Jane Page entitled The Travel Adventures of PJ Mouse would be a great book for me to review. Christmas is the best time of the year- candy canes, hot chocolate, warm fires, and cozy sweaters. Who could not love this time of the year? Find out what I thought about Alexandra Brown’s The Great Christmas Knit-Off. The Magic Strings of Frankie Presto is a book that takes you on a roller coaster of emotions- you really have no idea where you might end up next- will you be chuckling to yourself because of a “cute quip” or will you be in a puddle of tears on the floor? Find out if I thought the roller coaster of emotions was worth the trip. Book Tour: Inspector Dewey by Kristen Heimerl- Review, Guest Post and Giveaway! Who can resist a children’s book about a cat? And a cat Inspector, how can you go wrong? Find out what I thought about Kristen Heimerl’s book Inspector Dewey below! Check out my review for Victoria Hislop’s book The Sunrise. I was contacted by Betta a while ago (sorry Betta!) asking me if i wanted to review the third book in her mystery series Samantha Church mysteries. I had really enjoyed the first two books so I couldn’t say no to reading and reviewing the third book- Dead Wrong. Find out what I thought of this third book below! I read The Queen of the Tearling last year as a review book. I didn’t really like it that much and I honestly cannot tell you why. I decided to give it another try when I saw that the second book, The Invasion of the Tearling, was coming out. I’m glad I gave it another go- I enjoyed it the second time around. Find out what I thought of the second book- The Invasion of the Tearling below. If you are like me, you grew up with The Princess Diaries. You fell in love with Mia and all of the adventures that followed. I’m sure you, like me, were really excited when you heard Meg Cabot was releasing her first adult installment of The Princess Diaries. Find out what I thought of this book below! 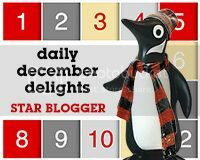 I’m a Penguin Star Blogger!